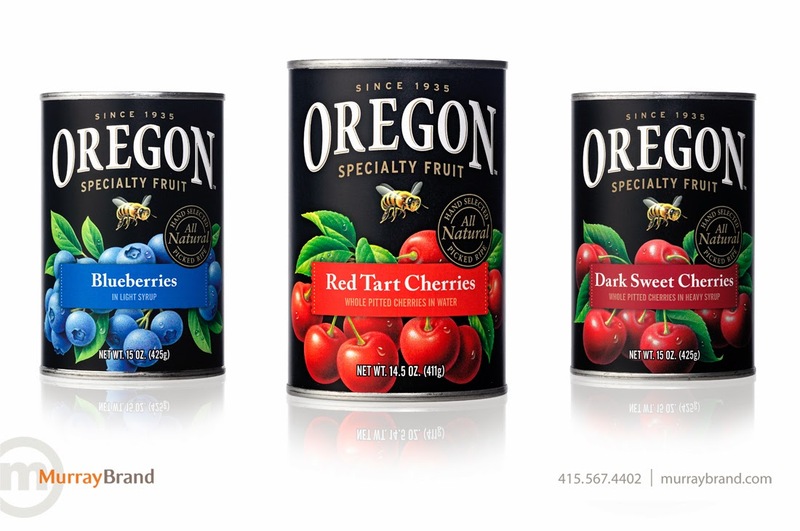 Seeking to enhance its retail presence by updating its 20 year old packaging system, Oregon Fruit Products partnered with Murray Brand Communications to design evolutionary new graphics that would more effectively brand block competing products on shelf, support a higher price point and convey a message of simple goodness. To accomplish this, Murray Brand designers took a back-to-the-future approach in which stylized "fruit crate art" illustrations were staged on an expanded version of the brand's familiar black background. 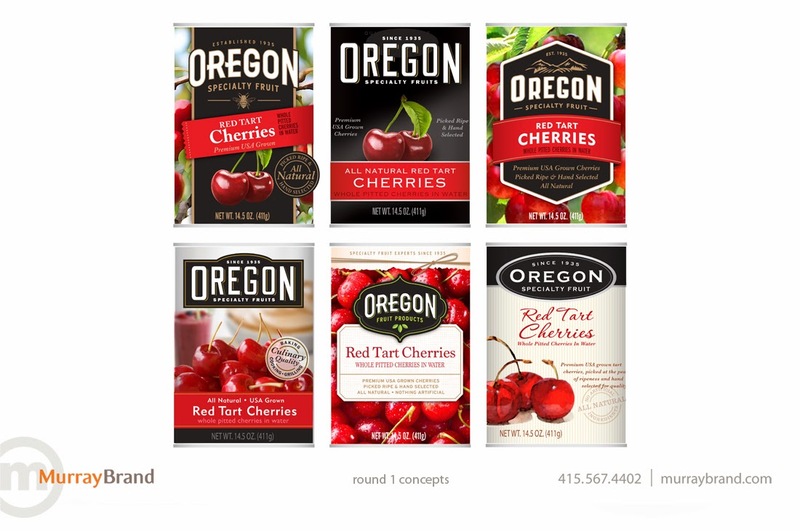 This ensured loyal consumers continued to recognize Oregon Fruit's products while at the same time capturing the attention of shoppers less familiar with the company. To complete the design of this 15 SKUs system, a heritage statement and trustmark were staged with the image of a honey bee and a newly designed wordmark to communicate simple, fresh and delicious for more than 75 years.